Express your interest and we will make your RMIT gown set. We do not currently make graduation gowns for RMIT. Currently the only way to get your gown affordably is to hire. But you can express your interest if you’d like us to make a gown for you to keep for $99 or less. Click on the button above that corresponds to your RMIT degree. Enter your email address and graduation date. If there is sufficient interest for a particular RMIT grad gown set, we will make it and contact you by email. Anyone who expresses their interest early will receive a special discount! 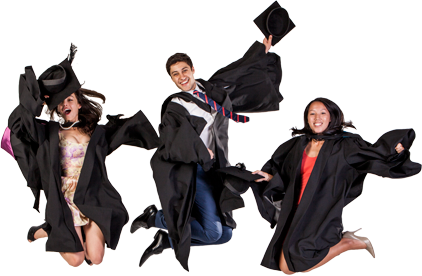 GownTown is Australia’s largest retailer of academic dress for university graduations. Share and make it happen. The more people in your cohort who express their interest, the more likely it is that we will introduce a new RMIT University product to our collection. So share with your friends completing the same RMIT degree as you. For full up-to-date details, visit the RMIT University Graduations site. Want to know more about your regalia?